Did Chelsea Follow West Ham’s Classy Lead And Sack Carlo Ancelotti In The Tunnel? You may be aware by now that Chelsea have parted ways with Carlo Ancelotti for having the down-right temerity to wash up in second after securing the club it’s first ever domestic double twelve months ago, but reports are circulating this morning that the Blues hierarchy followed the West Ham board’s classy lead and decided to sack Ancelotti in the tunnel at Goodison Park. Apparently, Chelsea’s chief executive Ron Gourlay met Ancelotti at the foot of the stairs outside the Goodison media suite which is situated in the tunnel concourse after allowing him to carry out his post-match press conference, and duly told the Italian that he had been relieved of his duties. Stay classy Chelsea, stay classy. Carlos was a great manager, pity to see him go. A manager needs time to be successful.. So who you reckon will come in? Rijjkard? @Davy: Seems like Van Basten is the bookies’ favourite as things stand, though I’ve got a sneaky feeling Guus Hiddink will be tempted back myself. Report is inaccurate. 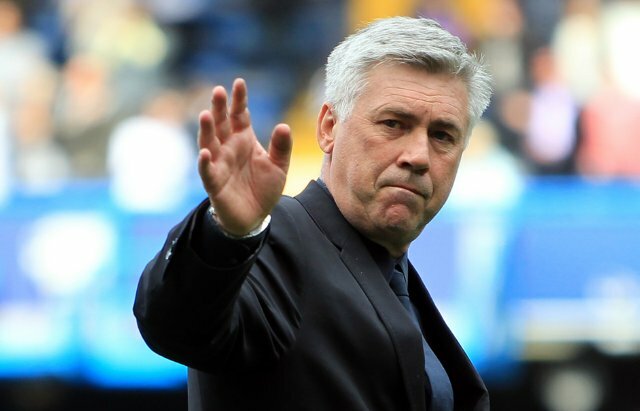 Chelsea TV says Gourlay met with Ancelotti in the visitor’s changing room after the players had departed. he was average in his role as manager. good guy but didn’t offer anything resembling a plan B at any time in the last 2 years. we had no chance of winning the CL with him. I was just processing Avram’s dole form, he’s written on there that he’s scored a fulltime job as manager at Chelsea FC, so won’t be need in the dole anymore! !